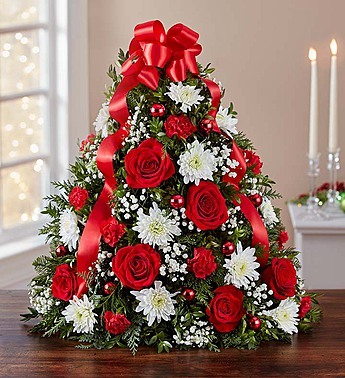 Still time to schedule a flower delivery to your favorite dog lover in time for Christmas or a special holiday event. 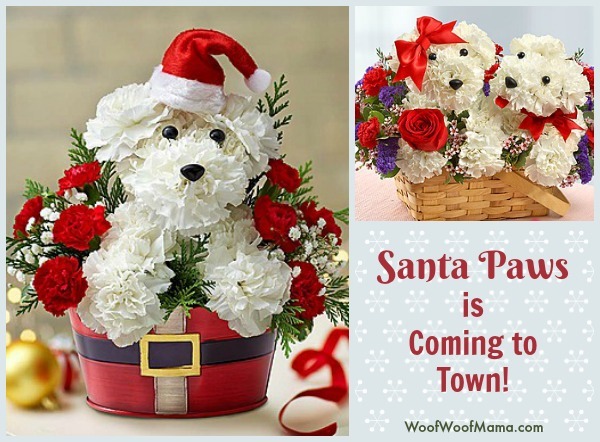 This super cute Santa Paws flower arrangement is part of the a-DOG-able Collection from 1800flowers.com and is available for same-day delivery via local florist when you order online here. 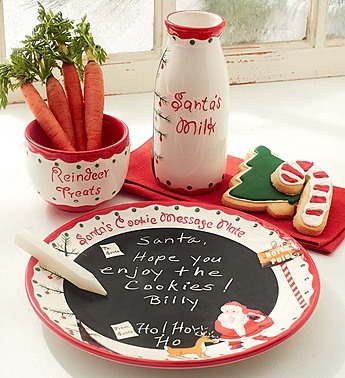 In addition to Christmas flowers for dog lovers, you’ll also find gifts for dogs and several other fun and festive holiday flower arrangements for your family and friends. Holiday plants and flowers make a great hostess gift and a centerpiece is the perfect way to help dress up the Christmas dinner table. Save 15% on Birthday Flowers and Gifts w/ code HPPYBDAY at checkout. 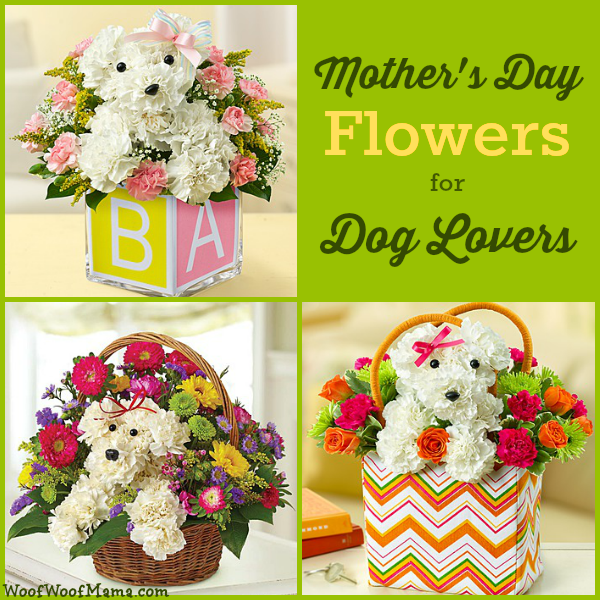 Want to surprise your favorite dog-loving mom grandma, or mom-to-be with some super special flowers this Mother’s Day? Check out the a-DOG-able collection of flower arrangements designed especially for dog lovers! 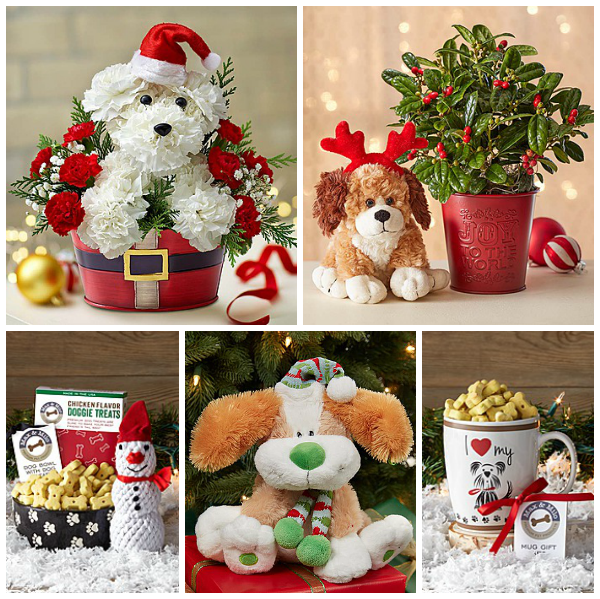 Whether the “mom” on your list has human kiddos or fur kids (or both) she will love these super CUTE floral arrangements featuring an adorable pup with personality-plus! Each one is created and delivered by your local participating florist. Visit 1800flowers.com to view these and more Mother’s Day flowers. Plan ahead and order NOW to get the best discount and reserve your preferred delivery day & time! 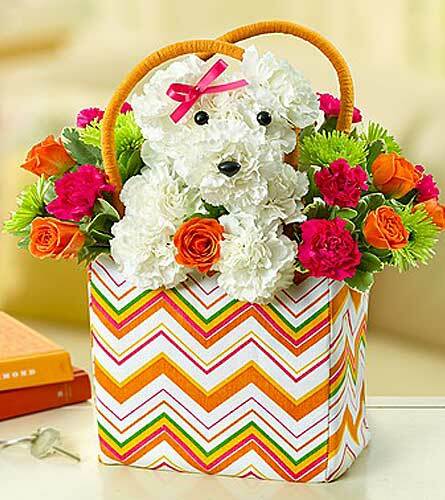 Have you seen the super CUTE a-DOG-able collection of flower arrangements for dog lovers? They are available for delivery by local florist when you order through 1800flowers.com. We love them for birthdays, anniversaries, get well, graduation, new baby or basically any occasion worth celebrating. Some of our favorite arrangements are for specific holidays, and this year, they’re doing a very special Hoppy Easter flower arrangement starring the always adorable flower dog wearing bunny ears and featuring cute and colorful Easter eggs! This is great as your Easter dinner centerpiece or to send as a Hostess gift, or to Grandma, the dog sitter or any other special person in your dog’s life. You can order today and save with one of the 1800flowers promo codes listed below. I suggest you use promo code ESTR39 for 20% OFF any Easter Flowers and Plants including the a-DOG-ables, tulips, lilies and more. Choose your delivery date and you’re all set! There’s just over a week til Easter so don’t wait til the last minute or you’ll pay extra delivery fees. 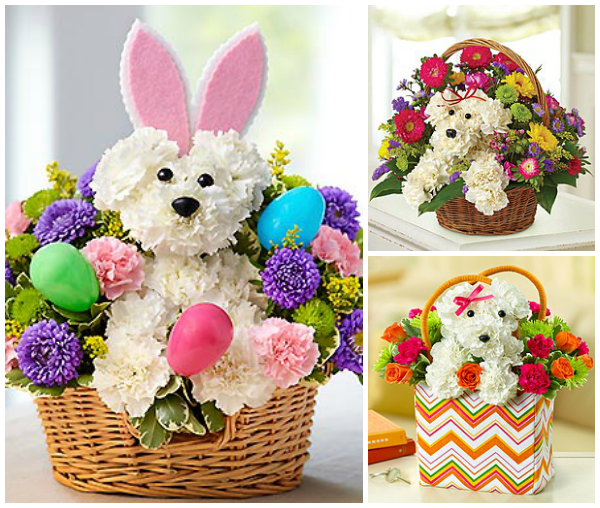 Go HERE to view all the a-DOG-able flowers including Easter arrangement. 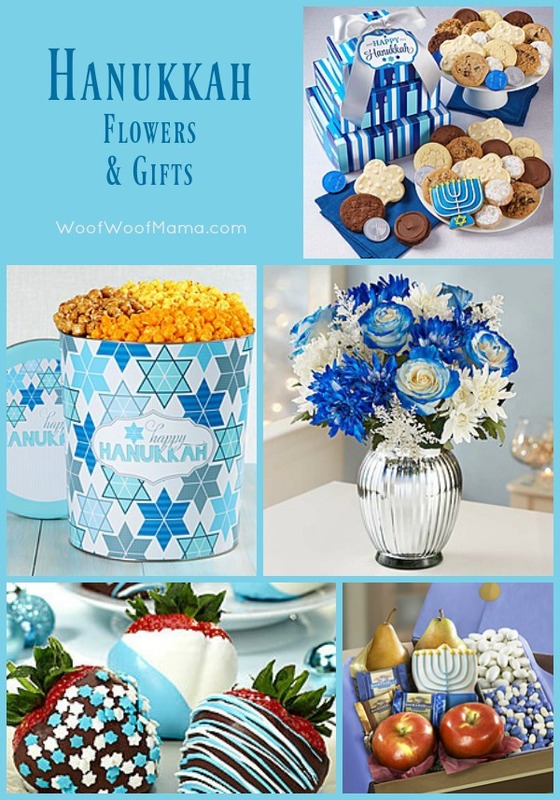 Up to 40% OFF Spring Flowers and Gifts at 1800flowers.com! Also, pet parents should be sure to keep certain plants out of reach and away from dogs because they might be toxic. Check this list from ASPCA of Plants that are Toxic to Dogs. Have you been wanting to get a fish for your kids or family, but dread the thought of having to clean the tank? You know that even though the kiddos promise they will do it, it will end up being another job for Mom or Dad. Well, check out the deal I spotted today on this super COOL AquaFarm self-cleaning fish tank. 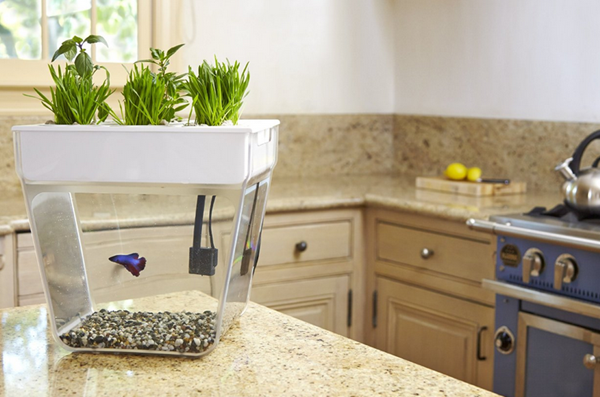 It combines a 3-gallon fish tank with a vegetable and herb grow bed into one closed-loop system that fits easily on any kitchen counter. You might think it sounds a little weird to feed fish poop to plants, but this concept will sound familiar to natural and organic gardeners who probably use or know about TerraCycle Natural Fertilizer (made from worm poop). Right now, the AquaFarm Fish Tank is on sale here for $47.99 ($59.99 reg) with FREE Shipping included. What plants can I grow in my AquaFarm? The kit includes organic wheatgrass and basil seeds. If you’re looking to grow other plants, leafy greens and herbs work best. AquaFarm makers recommend parsley, cilantro, mint, arugula, mixed greens, and other varieties of basil. What types of fish can I keep in my AquaFarm? The AquaFarm is not suitable for fish that are particularly sensitive to fluctuating ammonia and nitrite levels. This is a completely biologically-filtered system, and it does take time for the tank to cycle and become balanced. For this reason, betta fish are highly recommended, as they are especially hardy. Zebra danios and guppies also work well with the AquaFarm at numbers of two to three per tank. If you decide to keep goldfish, please make sure you have a larger tank to move them to once they outgrow the 3 gallons! How many fish can I keep in my AquaFarm? If you have a betta, you can only keep one per tank, as they will fight if kept with other fish. If you’re keeping other more peaceful fish, the general rule of thumb is 1” of fish per gallon. 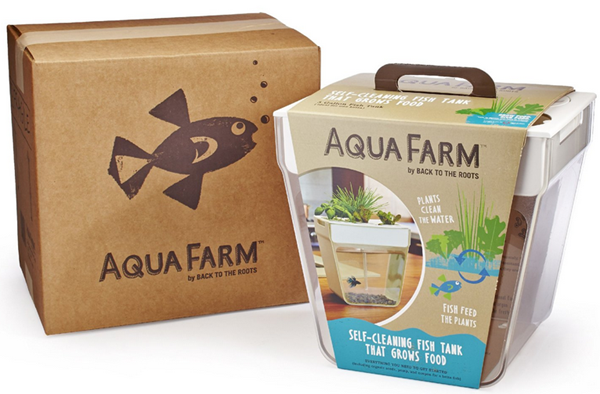 Visit Amazon here to learn more and order your AquaFarm.